Get the best deals from September 15 to 17, 2018! It’s so cool that Globe started a 917 day! It just makes me proud that I’m a Globe member. It’s so cool how a number can stand for cool things, great events and amazing deals! So 917 day is obviously, September 17! haha! But to extend this amazing day, as early as September 15, Globe already has a lot of things and deals available to us. Some of these deals are fruits of Globe’s partnership with Puregold! Puregold Price Club Inc. also celebrates this month their 20th year delivering the best in value and service to Filipino families. This partnership has “panalo” deals for us to give us the best 917 Day yet! For mobile customers, get FREE P17 load when you buy any Globe or TM SIM from 9:17 A.M. to 9:17 P.M. on September 17, 2018. For broadband customers, enjoy FREE P200 load and tumbler for every purchase of a Globe At Home Prepaid WiFi from September 15 to 17, 2018 in participating Puregold branches. This second one was actually what I got! It was such an amazing deal — I couldn’t resist! Globe and Puregold have been supporting Puregold’s Aling Puring members attain savings and achieve their dreams of having their own businesses. In 2013, Globe and Puregold launched the Aling Puring Super Suki SIM, a multi-function SIM card with exclusive deals that also enables members to sell prepaid loads as an additional source of income. Currently, there are 159,000 Active Super Suki SIM sari-sari store owners and micro-entrepreneurs who have benefitted from the perks of the card. Besides the Aling Puring Super Suki Sim, Puregold shoppers also enjoy other convenient Globe services like Cash in/out, Remittances, Bills Payment, just to name a few. So this 917 Day, head on to a PureGold branch and purchase a Globe at Home Prepaid Wifi unit! Reset. I think I need to do this this weekend. I’ve been feeling a bit lost lately. My husband told me, over Bingsu, last night that I just need to rest. He just thinks I’m super tired. So today, I’m at a coffee shop this morning, writing this blog. Writing calms me down, and helps me regain focus again. My husband gave me my ME time this morning to relax and do things that I enjoy. Actually, he gave me the whole day to relax. – BROADBAND: Get a free 6-month subscription to Netflix with Plan 1299 and up. – POSTPAID: Subscribe to Netflix using your Postpaid plan and register to GoWATCH 399 to get more data for watching popular series and films. – PREPAID: Subscribe to Netflix by availing of GoWATCH for as low as 99 with 2GB of data to watch Netflix . These are great deals from Globe! Just wanted to let you know since I didn’t want you to miss out on these deals. So going back to the shows that I highly recommend. 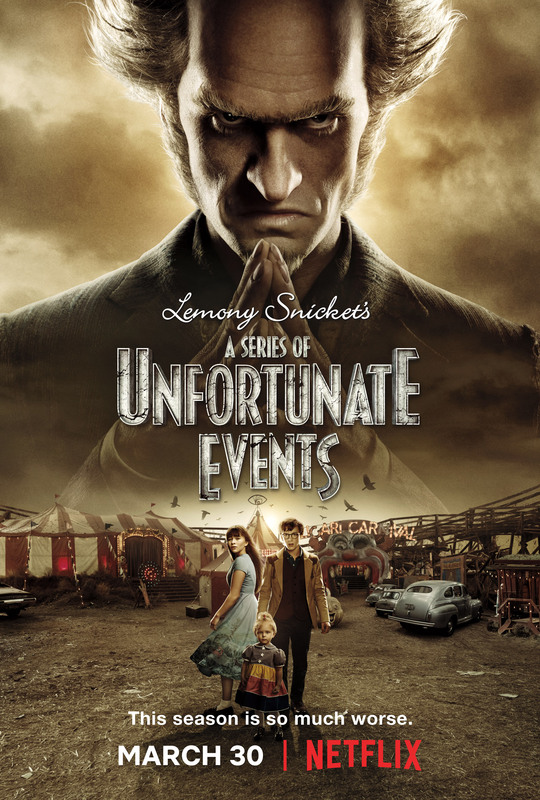 Starring Emmy- and Tony-winning performer Neil Patrick Harris and backed by an outstanding ensemble cast, Lemony Snicket’s A Series of Unfortunate Events is executive produced by acclaimed filmmaker and Emmy® Award winner Barry Sonnenfeld (the Men in Black films, Pushing Daisies, The Addams Family ), who directs four of the episodes. I love this series because of the superb script, witty lines and fantastic actors! This is a must watch for the whole family. 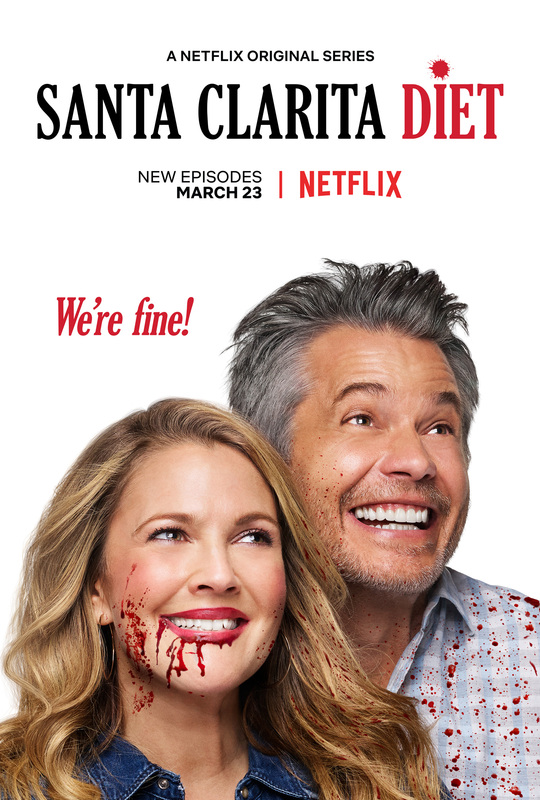 In the single­camera series, Joel (Timothy Olyphant, J ustified ) and Sheila (Drew Barrymore, Blended ) are husband and wife realtors leading vaguely discontented lives in the L.A. suburb of Santa Clarita, until Sheila goes through a dramatic change sending both their lives down a road of death and destruction…but in a good way. 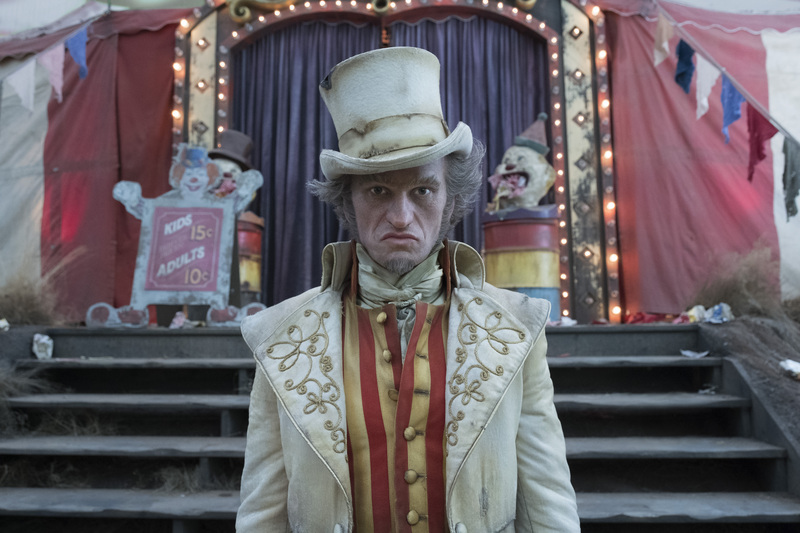 Apart from being a Drew Barrymore fan, what I love about this series is that it’s very REAL (well, except for the flesh-eating-wife part). The relationship between Joel and Sheila represents what couples go through. This series is very relatable and charming! I’m a sucker for romantic comedies and korean drama. So the first time I saw Something in the Rain (English title) or Pretty Sister Who Buys Me Food (literal title), I was drawn to it. This romcom reminds us that love knows no age. Love is a decision; you have the right to choose a person and love him/her. Super kilig lang when watching this series! She’s my favorite stand up comedian! She usually talks about being a mom, pregnancy, feminism, her sexual adventures (so this is for grown-ups only) and other topics. Watch her first show on Netflix called Baby Cobra then watch Hard Knock Wife next. You will surely fall off your seat laughing! Every month, I will share with you new shows that I have discovered! Follow me on Instagram @gingerarboleda and follow my Instagram stories! 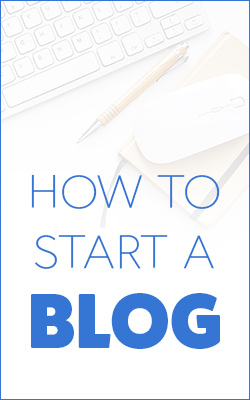 I’ll share a guide on a weekly basis! Being a marketing advocate, I have embraced that marketing is an integral part of starting a business. People often mistake marketing with selling. These are two different things. Marketing focuses on a deeper understanding of the market, where your possible paying customers will come from. With technology, everything has become easier for businesses to understand the market, or so it seems. I still encounter businesses that find marketing complicated and still implement the wrong strategies. We mostly get our information about targeting the right market online. We think that if something worked for Uber, Amazon, etc., it will probably work for our businesses. But this is not the way it works. There is not a one-size fits all strategy that we could use for our business. What we business owners and startup owners can do is listen to different strategies and figure out which will work for us. Deploy a strategy that looks at validating customers’ responses and looking also at metrics and results. I am now studying Quant-based marketing that for me makes a lot of sense. I’ll write about it as soon as I fully understand and after I try to implement it. I am particularly excited about attending DigPH, the country’s largest digital and mobile marketing summit for small and medium enterprises (SMEs) which will be on July 13, 2016 at Crowne Plaza, Ortigas Center, Pasig City. DigPH was born out of the collaboration between Globe myBusiness and Globe Digital Advertising (AdSpark) after seeing an opportunity from the desire of SMEs to expand their businesses through a strategy that is cost-efficient and effective. DogPH will feature case studies, digital business tools, and practical tips for becoming digitally ready. Topics include the following: Learn how to maximize social media, venture into e-commerce, be present in digital moments that matter, optimize backend processes for your growing business. 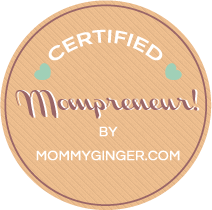 I think these will be interesting topics that will help a lot of business owners. Entrepreneurs who want to push their businesses to the next level may register until July 11 (TODAY) to redeem the Early Bird Promo for P1,000. After the said date, registration fee for DigPH will be P1,500 which comes with a packed lunch, access to all sessions, and tokens. For more details of the event, you may visit www.dig.ph. I’m so happy that my baby loves going to museums. For her 3rd birthday a couple of months ago, our gift to her was a trip to the museum. She was so happy. We spent the entire afternoon inside The Mind Museum at Bonifacio Global City. We are definitely so lucky that this museum is just a few blocks away from where we live. Because of her love for museums, I actually got her a whole year pass for a discounted price of Php 2250. It’s on discount until July 2016! I believe that people (not just kids) should give more attention to STEM (Science / Technology / Engineering / Math). I believe that the world has changed so much that all of us need to learn our origins and the basics and as well as explore and discover new things that might eventually lead to something great in the future. This is the reason why I always encourage my daughter to not to lose that love for museums. Recently, Globe Telecom and The Mind Museum even made all of these — science, discovery, exploration, etc. more fun and more accessible by launching The Mind Museum App. It’s a mobile app which promises an enhanced experience of the museum as you explore and discover gems of information. The app is already available for download on your Android and IOS devices. One of the things that I love about it is that it gives me bits of information which I get as notification on my phone. I just feel that I get to be a little bit smarter everyday. Plus, I get to share this bit of information with my daughter. She has been so inquisitive lately. It also offers a guide to the exhibit inside the Mind Museum. It also has a few questions that you can use as a point of conversation with your child. I got to think of how homeschooling parents will love these. All they need to do is use the app to look for activities and information to supplement their own curriculum. This is perfect for teachers, too! This portion on experiments is my favorite. My daughter gets bored easily so I always need to stimulate her mind with new activities and exercises that she can do. The Mind Museum app is amazing since it already gives me ideas on what activities to do at home with my little one. It was already amazing when Maribel Garcia, TMM Curator and Fernando Esguerra, Globe Citizenship Director mentioned the benefits of the apps during the event, but when I downloaded it and used it, I was really impressed by it. The app is not only for museum-goers but also for teachers and students especially those outside Metro Manila. Download The Mind Museum app now and see for yourself!